Sunday Dinner Catering Services is a local business, and might I add, one that serves great food! It is always a treat to get to eat what Phillis is cooking. Now, they are also proudly brewing and service Epic Coffee! How cool is that? 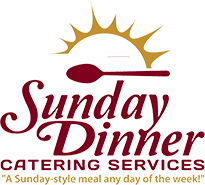 Check out Sunday Dinner, and have Epic Coffee at your next catered event.